1-¼" x 1-¼" x 3-11/16"
Packaging Dimensions 0.07 in. x 2.531 in. x 7.7 in. Exactly what I had planned on. I had ordered these (and other sizes) previously. These are a good product. At first I felt kind of silly spending money on boxes for my tubes. Once these arrived though, I could tell right away that these boxes were much more robust than the boxes tubes normally come in. I definitely feel good about buying these now, and plan on buying more in the near future. Quality Boxes at a low price. 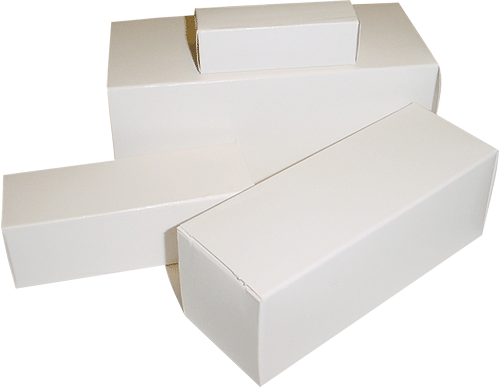 These boxes are tailor-made for all GT-size tubes. They are better made than most of the original tube maker's boxes, with a specialized cushion to hold GT tubes in place. Sturdy and reasonably priced, great generic box for hobby or professional use! Great for shipping tubes and storing tubes.